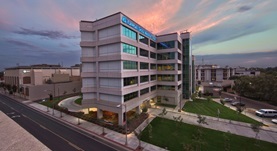 Dr. Armando Garza graduated from the University of California Davis School of Medicine. 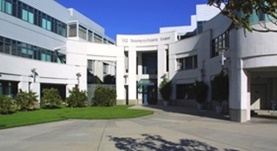 He did his internship at the Arrowhead Regional Medical Center and completed his residency program at the University of California Irvine. He is specialized in Radiology and board certified in Diagnostic Radiology. 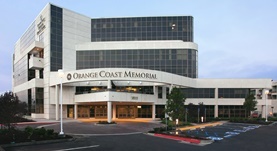 Dr. Garza has been in practice for more than 6 years and is affiliated with the Orange Coast Memorial Medical Center, University of California-Irvine Medical Center, and Kaweah Delta Health Care District. During his career, he has also contributed to 4 clinical research publications. Dr. Armando Garza has contributed to 3 publications. Monsky, W.L., Garza, A.S., Kim, I., Loh, S., Lin, T., Li, C., Fisher, J., Sandhu, P., Sidhar, V., Chaudhari, A.J., Lin, F., Deutsch, L., Badawi, R.D. ; Cardiovasc Intervent Radiol. 2011 Apr. Acquired peripheral arteriovenous malformations in patients with venous thrombosis: report of two cases. Link, D.P., Garza, A.S., Monsky, W.; J Vasc Interv Radiol. 2010 Mar. Congenital single, pelvic iliac artery: a case report. Link, D.P., Garza, A.S., Monsky, W.L. ; J Vasc Interv Radiol. 2009-09-01.